We couldn't help but notice the young athletes on crutches and in casts when we went to USASA Nationals to compete, in Spring 2010. Here we catch up with 6 of them and ask them about what happened. All the injured snowboarders hurt themselves competing or practicing for the slopesyle events, either at Nationals or earlier in the season. Meet Sarah from Sunday River with her broken wrist, Katie Pool with a broken heel, Hunter Murphy of MN with a broken ankle, Thomas O'Hara from NJ with his chipped kneecap, Meghan Tierney from NJ healing from her broken tibia and fibula, and Carter Smalley from CO with his torn MCL. Reporting and video by Lauren Traub Teton, exclusive for SnowboardSecrets.TV. Sponsored by Flexmeter Wrist Guards for snowboard and skateboard, Trikke, bke, and more. Designed by a doctor and proven to reduce snowboard wrist injuries. And Azzpadz tailbone protector. 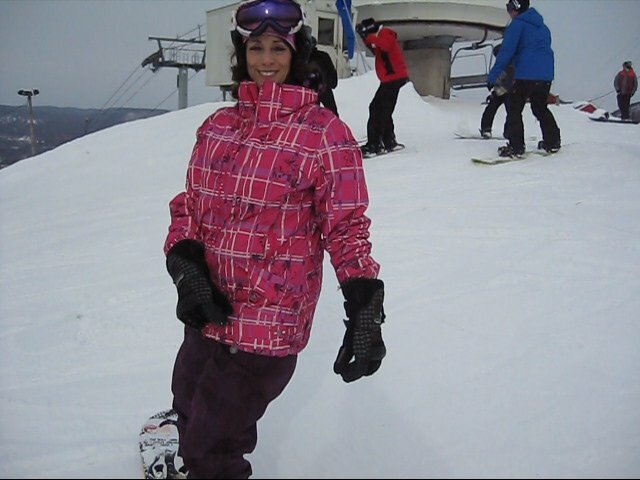 See these products on Lauren in our Snowboard Safety Tips video here. Lauren's 2nd halfpipe run at USASA Nationals at Copper Mountain, CO 2010 resulted in her going higher and faster than ever, and than she was prepared for. See her catch an edge on the right hand wall and go down in this snowboard accident, landing hard on her hip and tailbone, but able to walk away from the snowboard crash because she was wearing Azzpadz Tailbone Protector along with her Flexmeter Snowboard Wrist Guards. Both available at www.Flexmeters.com. Thanks also to sponsors Turbine Boardwear for the hot cool jacket and pants, Flow for the bindings, and Launch Snowboards. Peter Viola rips it up the beach ramp on his RipStik caster skateboard. He wears Flexmeter All Season Wrist Guards to help protect his injured wrist from re-injury. Flexmeter, designed by a doctor and provento reduce snowboard and skate wrist injuries. wwwlFlexmeters.com. By Lauren Traub Teton, exclusive for SnowboardSecrets.TV. Flexmeter is flexible wrist protection for snowboarders and other sport enthusiasts, designed by Dr. Marc-Herve Binet, French Trauma Specialist, MD at Avoriaz Resort, France. Flexmeter est une protection de poignet flexible pour prévenir les traumatismes en snowboard. As recommended on Ski-Injury.com. Flexmeters available at www.Flexmeters.com. Snowboard protection and snowboard safety gear are important ways to prevent snowboard injury. Lauren Traub Teton, the founder and editor of www.SnowboardSecrets.com shows you what snowboard safety gear she has under her snow pants in this video. Rollerblade knee pads, Azzpadz Tailbone protector, and Flexmeter Wrist Guards are what she wears every time out. Read the article "You Don't Have to Hurt Yourself to Snowboard" here. Visit www.SnowboardSecrets.com for a collection of great tips and great gear.